As Northern Nevada's home heating, cooling and electrical specialists, at Capital Control Systems we understand how important it is to keep your family and your home comfortable. 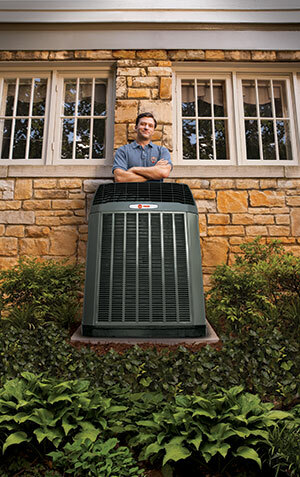 Be it installation or repair, you can depend on our top-notch service and quality products for your heating, cooling, and electrical needs. We've built our reputation on doing the job right the first time and by not cutting corners; we stand behind our products and services. And, since heating, cooling and electrical emergencies don't keep a 9:00 to 5:00 schedule, our service department is on call 24/7 for your emergency needs. Our skilled staff will meet with you in person to review your needs. Then, we'll show you a wide range of options and work with you to formulate a plan that fits both your budget and heating, cooling or electrical needs. We're your northern Nevada specialists in energy efficient options! Let us guide you through the many choices, and show you how quickly you can reap the benefits of your investment, be it through government incentives or through savings on your monthly heating and cooling bills. 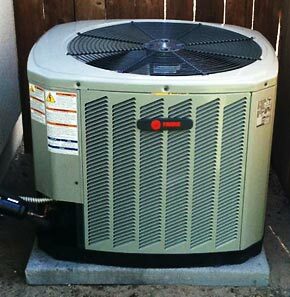 A Trane 3 ton R22 replacement unit we did in Carson City. 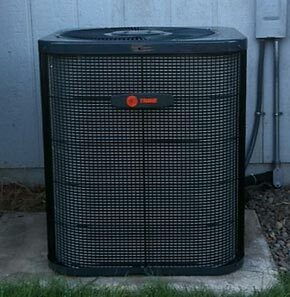 A two-ton Trane XB 13 AC installed in Dayton. 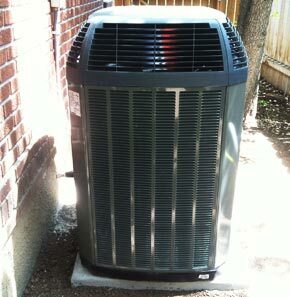 A 15 SEER Trane AC unit recently installed in Reno. 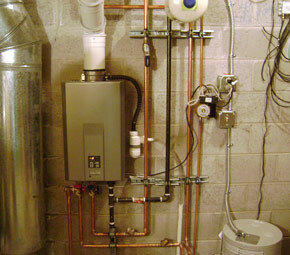 Installation of Rinnai Instant hot water heater. A real energy saver! Only heats water when you use it, and never runs out of hot water!